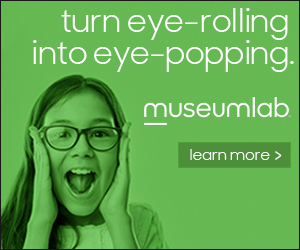 Home » News » The message from Parkland to Pittsburgh? 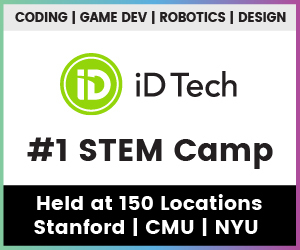 Kids can make a difference! Ivy Schamis’s Holocaust history students were giving presentations on how to combat hatred when gunfire erupted at Marjory Stoneman Douglas High School in Parkland, Fla.
Two of those pupils, Helena Ramsay and Nicholas Dworet, died, along with 15 other people. “I called that place my ‘happy place’ for 10 years,” Schamis said. Now, that classroom is a painful reminder of what happened on Feb. 14, 2018. 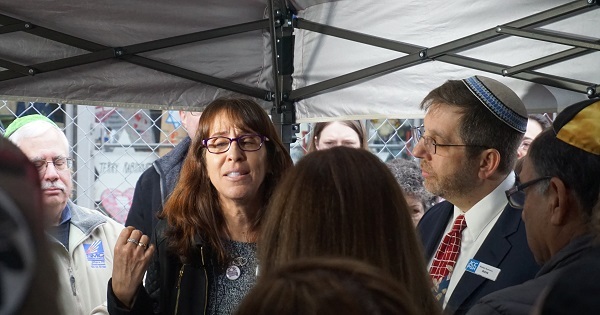 Ivy Schamis recalls the day a gunman opened fire in her classroom. Photo by Kristy Locklin. 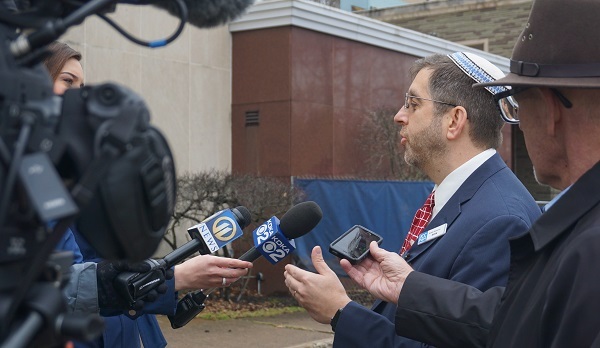 Schamis and a group of Parkland survivors and family members visited Pittsburgh this past weekend to meet with members of the Jewish community for “Parkland to Pittsburgh: Stronger Together,” three days of healing and community building. 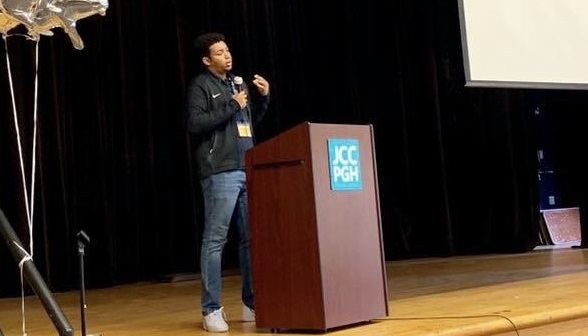 On Friday, teens from Pittsburgh and Parkland met at Taylor Allderdice High School to discuss gun violence advocacy. Packed shoulder to shoulder in the school’s library, students heard personal stories from Parkland kids leading the assembly. 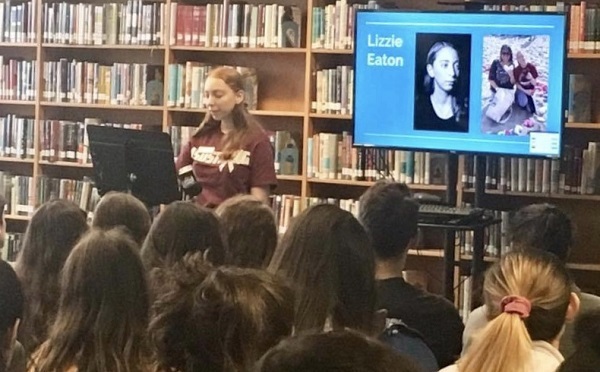 Parkland survivor Lizzie Eaton addresses kids in the Taylor Allderdice High School library. Photo courtesy of JCC. “We’re all here together because of one underlying reason and two deeds – Feb. 14, where we lost 17 Eagles at our own high school, and Oct. 27, where 11 lives were also taken here,” said Lizzie Eaton, a Parkland teen survivor. “We want to spread the message of hope and unity and overcoming tragedy because it’s so hard to do it alone,” she said. The ultimate message was that kids can be the change and overcome hate. Rabbi Ron Symons talks about the importance of making connections with our neighbors, even if they happen to live hundreds of miles away. Photo by Kristy Locklin. Following the assembly, the group gathered outside Squirrel Hill’s Tree of Life synagogue, where 11 congregants were gunned down last fall. Attendees huddled under a canopy out of the rain to share emotional memories of those loved and lost. There were tears and laughter, prayers and songs. The two tragedies, separated by nine months and hundreds of miles, created a united front among the participants. Symons also guides the JCC’s Center for Loving Kindness and Civic Engagement, which organized the three-day event to promote healing and resilience. Teacher Sharon Cutler understands the effort it takes to recover from violence. When the gunman – a former student – terrorized the school, she herded her class into a closet. She doesn’t want that nightmare of aggression, or the one experienced at Tree of Life, to define their respective communities. She came to Pittsburgh to help spread that message throughout the weekend. The busy schedule included an emotional meeting with Pittsburgh Mayor Bill Peduto in City Hall. Delegations from Tree of Life and Parkland attended Saturday’s Pirates game at PNC Park, where they were recognized for their message of acceptance and peace. Parkland teen Adam Habona talks to the kids participating in J-Serve. Photo courtesy of JCC. Sunday was allocated to J-Serve, the international day of Jewish youth service, which takes place in 90cities around the world. More than 300 teens spent the day doing yard work, packing craft kits for Children’s Hospital patients, serving lunch to people in need, making toys for shelter animals and other acts of kindness.